Click the links below to view the full product description or to make a purchase. A must read for all dressage trainers, Karl outlines the most important prerequisites of a good trainer and explains how to distinguish oneself from other trainers by setting an example worthy of imitation. $15.95. Downloadable PDF. 4 pages. Sorry, there are no refunds on this product. In this article Karl discusses the importance of the basics as described by the Old Masters. 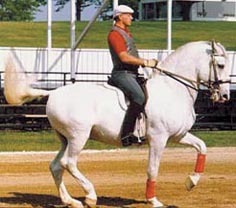 He then relates the challenges the horse faces in accomplishing these basics to similar challenges faced by the human athlete. $6.95. Downloadable PDF. 5 pages. Sorry, there are no refunds on this product.